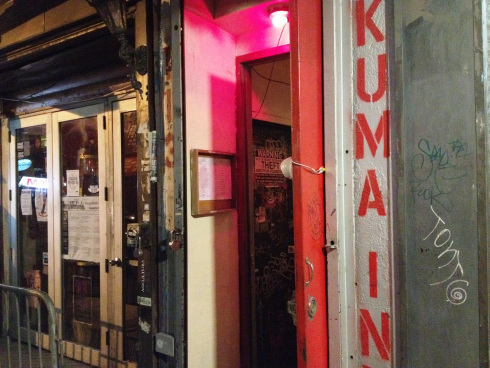 Since it’s getting harder to make reservations for this Lower East Side eatery anyway, we see no point in keeping it a secret any longer… just be sure to only share Kuma Inn with your best friends! 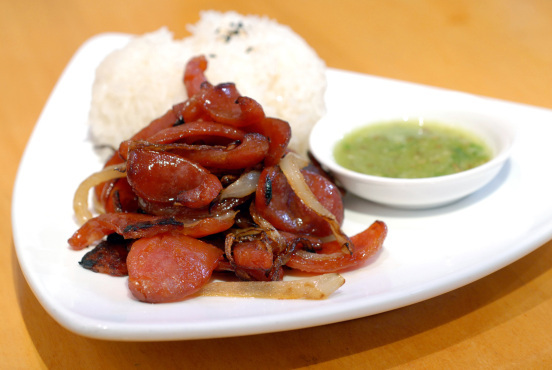 This tiny Filipino/Thai restaurant is located above a Bulgarian bar and everything about it – from its location to the art that covers the walls – is a little strange. Once you have located the spray-painted name, you climb two flights of crackling stairs that make you wonder if you’re in the right place. Boy, are you in for a surprise! 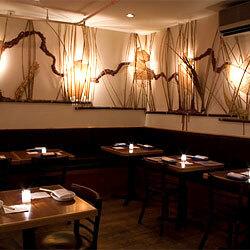 Kuma Inn is an intimate, no-fuss, cash-only, BYOB restaurant. The food is comparable with (or better than) the uber-trendy “Asian Fusion” places in New York, minus the arrogant staff and sleek decor. Better yet, at Kuma Inn you pay about one-fifth of the price! It’s the perfect place for a quick bite, low-key romantic dinner or birthday party: nothing fancy, just great food in a fun atmosphere. Be sure to reserve well in advance and don’t forget your favorite wine and/or a couple of beers.